Bibliophile. Rare book collector. The history of writing, and of the book, from cave painting to cuneiform tablet to papyrus scroll to medieval codex to Kindle. The spire has just collapsed and fallen into the cathedral in a shower of sparks and flame. 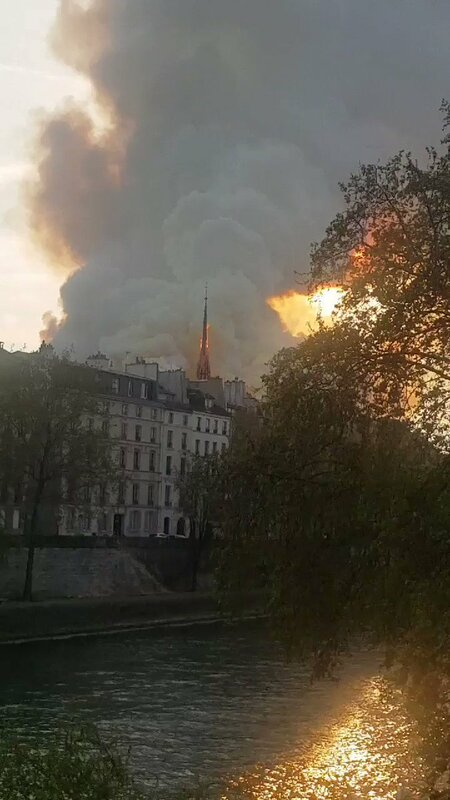 @lemondefr are reporting that local Parisian firefighters can’t reach the flames at all, as they are too high for their hoses to reach. 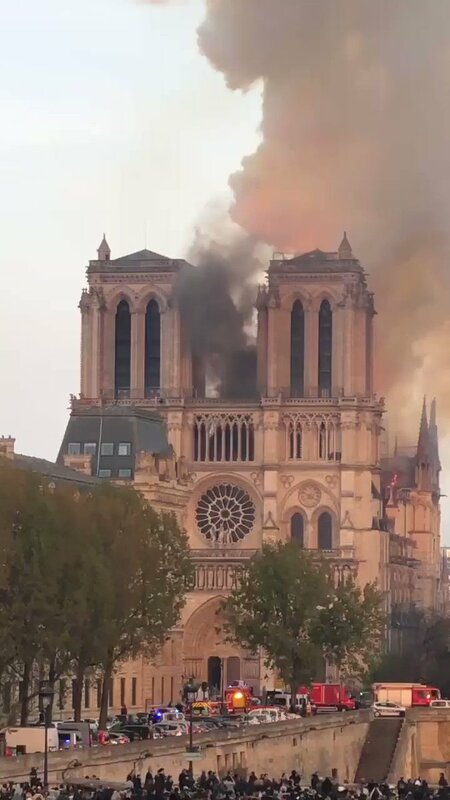 There are reports of the destruction of the great Rose Windows from multiple spectators posting online, but this has not yet been verified by any of the major French news organisations.